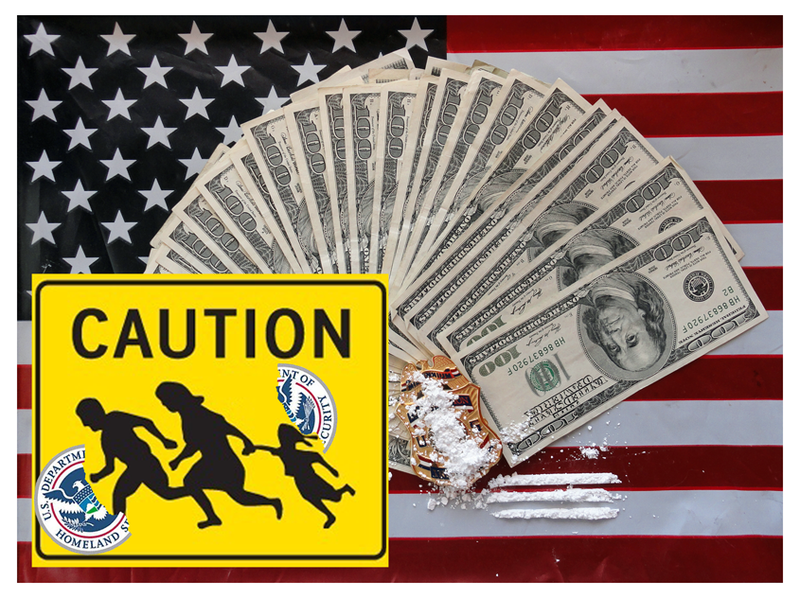 Richard Elizalda, a 10-year veteran of U.S. Customs and Border Protection was convicted of accepting bribes in exchange for allowing illegal aliens to enter the United States. Working at the world’s busiest border crossing, the San Ysidro Port of Entry, Elizalda sent text messages to smugglers, informing them which inspection lane to go to. Then he simply waved them in, sending dozens of illegal aliens into our country without proper documentation. Kallas’ attorney, H. Dean Steward of San Clemente, said that his client did favors for immigrants “out of the kindness of his heart” and was set up by “opportunistic” aliens. In a search at Kallas’ Alta Loma home, agents reportedly found a hidden floor safe with more than $177,000 in cash and 24 official immigration files. Agents also found a ledger with the names of more than 60 immigrants and amounts of money they had paid. Bank accounts showed that in addition to Kallas’ salary, nearly $1 million had been deposited in the couple’s accounts since 2000. Even after he was indicted on 75counts and convicted of three dozen corruption-related charges, Kallas was not fired by U.S. Immigration and Customs Enforcement (ICE). He remained on “unpaid leave” since January 2007. Only after his conviction ICE announced that they were “moving forward” with dismissing Kallas from government service. Paul Layman, associate special agent in charge for the ICE Office of Professional Responsibility (OPR) in Los Angeles said, “ICE holds its employees to the highest standards of professional and personal integrity.” What does one have to do to get fired from ICE? Ironically, Raul Villarreal was the spokesman for the Border Patrol’s San Diego sector. He made frequent appearances on Spanish-language television newscasts and played the part of a cold-hearted Mexican smuggler in a public service announcement. Fidel Villarreal, 40, was a supervisory Border Patrol agent who worked in the San Diego area. Cramer was providing drug traffickers with confidential law-enforcement background checks that helped them to avoid capture. Cramer was also charged with investing up to $25,000 of his own money in a shipment of 300 kilograms of cocaine from Panama to Spain through the U.S., but the prosecutors dropped those charges in exchange for a guilty plea. Cramer was facing 20 years in prison. U.S. District Judge Paul Huck said the case was mitigated by Cramer’s “unblemished” military and law-enforcement career and sentenced him to only 2 years in prison. Jose Carmelo Magana, 46, a Customs and Border Protection officer at the San Luis, Arizona border crossing was sentenced on January 21, 2010 by U.S. District Judge James A. Teilborg. He was facing a possible sentence of 10 years in prison and a $250,000.00 dollar fine. After pleading guilty to alien smuggling and acceptance of a bribe by a public official, Magana was ordered to pay a $4,000.00 dollar fine and sentenced to the lowest sentence allowed by law – 37 months in prison. The allegations centered on an October 3, 1990 incident in which a supervisor attempted to let a Mexican gas tanker, packed with 8,000 pounds of cocaine, cross the border into the U.S. After inspectors challenged the supervisor’s decision, the tanker was stopped. The tanker’s driver escaped to Mexico and was later found dead in the trunk of a car. President of the National Border Patrol Council, T.J. Bonner, said that contrary to the official statistics, corruption is increasing among the rank and file, but the agency does not welcome whistleblowers. He said, “People are told to shut up and not make waves.” Bonner continued to say, “Morale is the lowest I’ve ever seen, and I’ve been around for 28 years.” While the manpower and resources of Internal Affairs/Office of Professional Responsibility are notoriously being abused to conduct retaliatory investigations against whistleblowers, the agency is a breeding ground for waste, fraud and corruption.